Palm Sunday I was walking my dogs in the cemetery. Sundays are busier there than any other day of the week, and holiday Sundays even more so. Team Puggle and I do our best to steer clear of people tending or visiting graves, as well as other dogs, so upon seeing five cars parked along the front drive, we took to the back paths. 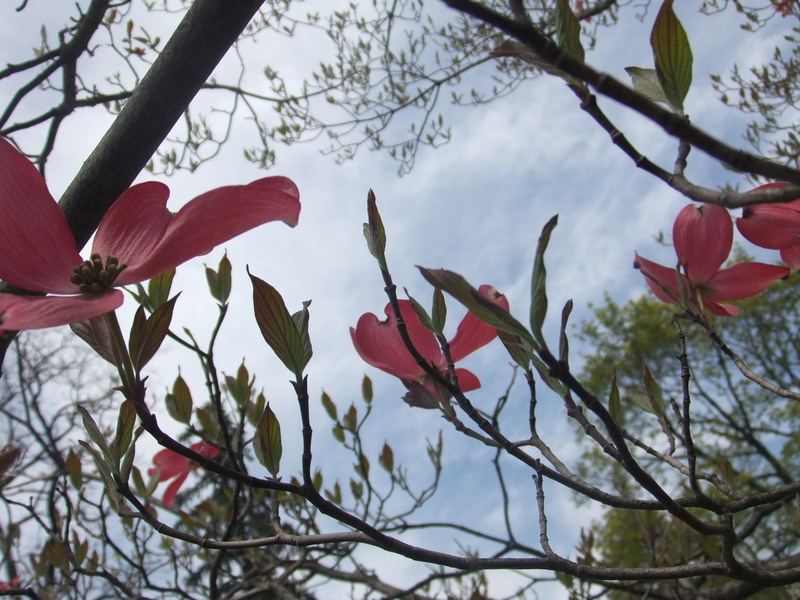 The dogs were sniffing away in a clearing, enjoying the perfect weather and all the new spring smells. A car pulled slowly down the road about a hundred feet from us and someone in the car did my all-time least favorite thing: made a passive-aggressive judgmental comment just loud enough for me to hear as they drove by, not stopping to actually confront. The woman said, “How dare anyone walk a dog in a cemetery? That’s disgusting!” Her Jersey accent dripped with contempt. The Puggles perked their ears and tilted their heads at her. She said some other things but I didn’t quite catch them, though her tone of voice made it sound as if I were personally digging up graves and toppling headstones. I assured the Puggles that they were not, in fact, disgusting and we went on our way to sniff somewhere else. I asked Jack if he wanted to go track her down and inform her that we likely visit the grave of her dead relative far more than she does, because for this woman to be surprised and offended that people walk their dogs in this cemetery, she can’t come here very often. Jack scented the air and opted out. He is a better man than I, and his insistence that we merely carry on with the walk shut off the imaginary conversation I was having with her in my head- you know, the one where I judge her back and put her in her place and make her feel at least as bad as she made me feel. Jack pulled in another direction and brought me back to where we were. For a moment there, I second-guessed myself. 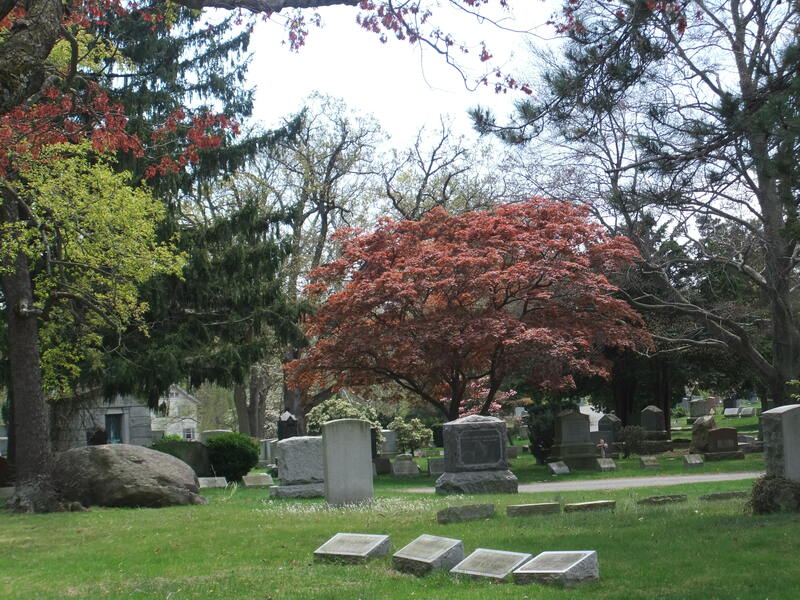 About walking my dogs in the cemetery being a good thing. I started walking them here on the advice of my therapist when I could barely get out of bed from depression a few years ago. For a couple of months it was the only thing I could accomplish in a day besides show up to work. Walking in the cemetery is their very favorite thing in the world. 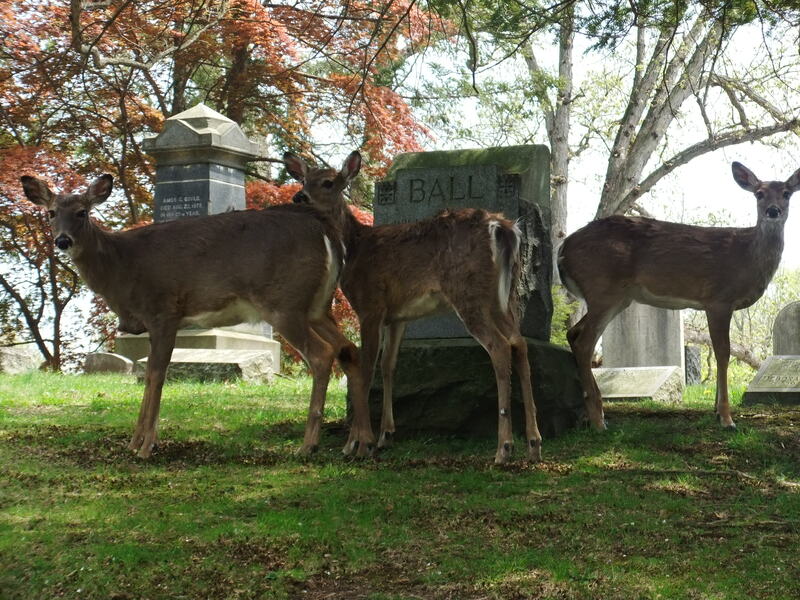 Because we don’t have a yard, they consider the cemetery to be theirs. It’s part of their territory, and I’m willing to bet every other dog that walks there feels the same. It’s the kind of place that inspires ownership. For me, it’s a chance to serve. I let them choose which way we go. I let them sniff. I pick up their poop; I don’t let them pee on the flags. They explore as far as they can on the end of a leash. They notice the new trees the groundskeepers plant to replace the ones destroyed in the storms, the flowers and shrubs added by relatives around headstones. They find the evidence of deer, of raccoons, of owls; of the struggle for life and death that goes on in the animal side of things there. We’ve found dead moles, mice, birds and an inside-out rat, picked clean by crows. I cannot keep a straight face while walking behind two Puggle butts. Jack walks on an extreme diagonal, as if he is in desperate need of an alignment. If he ever requires a wheel, I fear he’ll only move in circles. The dogs lead me to the change of seasons through all the small signs. I find the first of spring in the new shoots of grass that Casey likes to eat, the crocuses bursting through the ground that Jack has to investigate; I notice the buds on the tree branches as they both stare at the trunk, mystified at a squirrel that magically disappeared by going up. We visit the graves of the ones who touched our family: The boy who died on the high school baseball field. The kid who committed suicide, though some say it was an accident. The mother who very intentionally jumped off a bridge. The 20-year old girl who lost out to a brain tumor. I’ll stop at a grave I don’t know and wonder about the person there. I wonder how they died, and how they lived. I wish peace for their families; I know it is harder to come by for some than others. One thing I’ve learned from walking on the dead is that nobody gets enough time. The cemetery is full of people who probably would have given anything for one more day or a chance to make a different decision had they known what was on the other side, and what they were leaving behind. More so than in yoga, or while meditating, the only time I truly appreciate the present moment as it happens is on these walks. 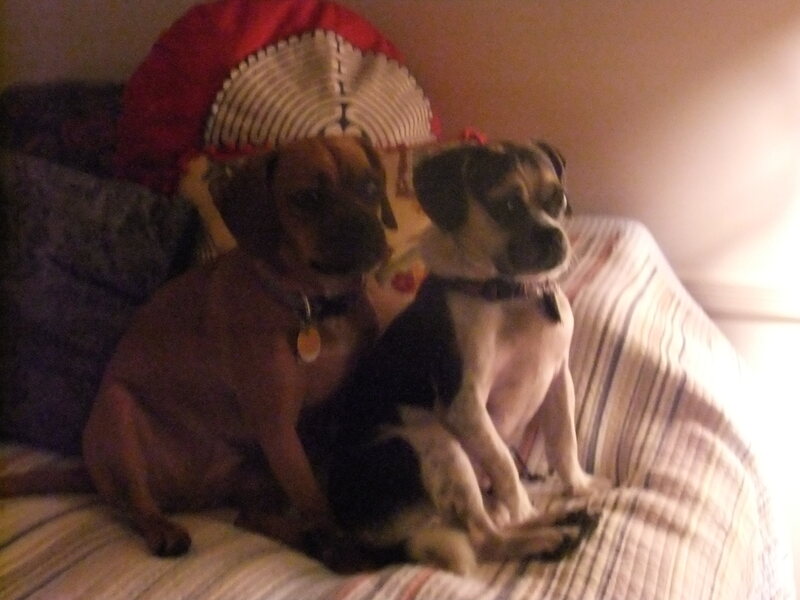 Because we are present, Team Puggle and I. We are warming in the sun, we are having our floppy ears blown straight out by the wind, we are smelling all kinds of unbelievable smells. The definition of reverence is a feeling or attitude of deep respect tinged with awe. Walking my dogs in the cemetery is the most reverent thing I do all day. I guess this whole business of living and dying can be plenty disgusting if you think of it that way, but I don’t. It’s just life. All the gross things that come out of a body have to be tended to, canine and human alike. Is a dog taking a whiz in graveyard dirt any more disgusting than what happens to a body when it expires? That’s how I dare walk a dog in a cemetery. 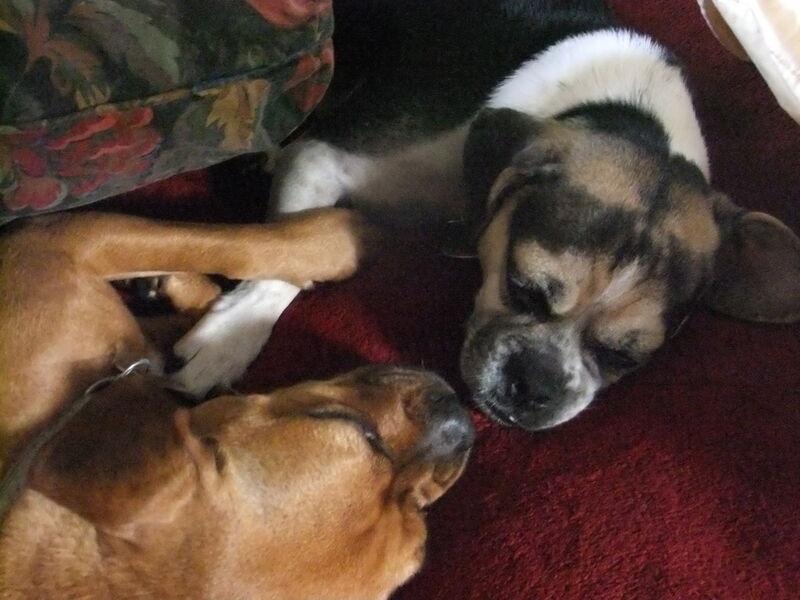 Posted on April 15, 2014 by JM RandolphPosted in PuppiesTagged accidentalstepmom, depression, dogs, JM Randolph, puggles, puppies, stepmom blog, walking dead, walking dogs in a cemetery. Bravo to you and the Puggles, JM. You three are honoring the lives of those that rest in that cemetery by sharing your curiosity and enthusiasm for the world. You are acting responsibly. Hey Judgmental Jersey Girl, lower your nose enough to let your eyes see that what’s going on here is a celebration of life. And what’s better to bring to a cemetery than that? Oh, I needed this today. Thank you. 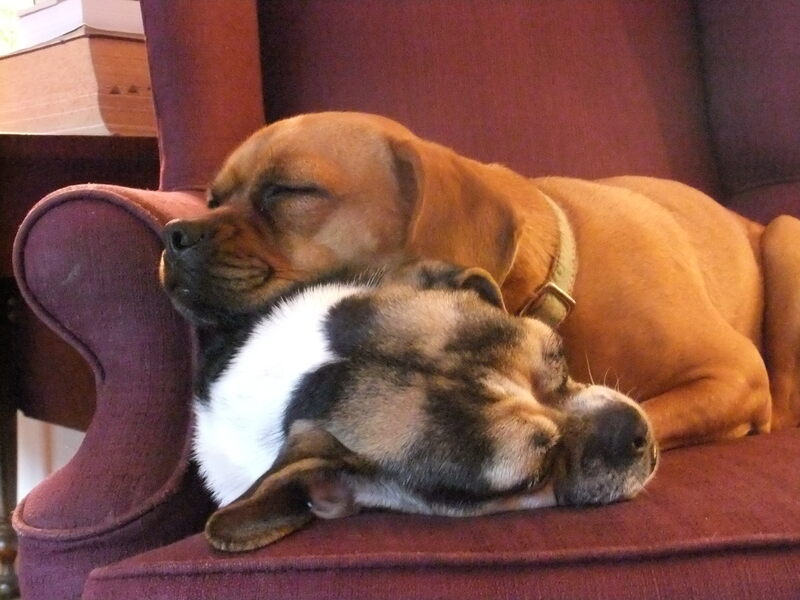 Great Puggle pics. And I say that you are actually doing a public service! Fertilizing the grounds of the dearly departed. And visiting and contemplating a life that most have probably forgotten. Keep up the good work, JM & Team! This was a lovely piece. Thank you for sharing. I’ve always wanted to live near enough to a cemetery to make it a regular walk but I know I’d be nervous about people like this woman. You give me courage! I love this, and am saying so as my reminder (via follow up comments) to share it when at a computer later. Thank you. Nice contemplative piece Ms. Julie; but I need more action. 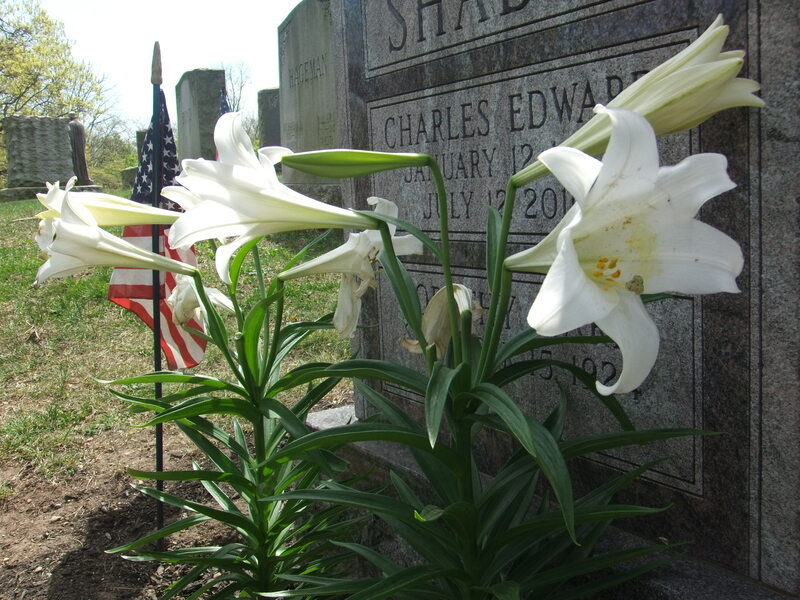 I was hoping to read you sent 7 rounds of .45ACP towards ” Jersey Girl” so she could check out the cemetery personally! See, that’s the problem with walking both Puggles by yourself. One would think from their small stature it would be a one-handed operation, but I’ve yet to work out a system where it leaves my gun hand free. Go for it! As long as you keep your dogs respectable…there should never be an issue. It would be a beautiful and peaceful place to walk. I find it fascinating, the different opinions of people. Seriously? Other people stink. I love cemeteries, especially looking at the old stones, and I would totally walk Ozzy in one. I’m with you on this one, cemetaries inspire thinking. We have one near my boyfriends parents, and 6 generations of families are buried together. I often go see them and think about who they were and what they did. Stupid, brainless woman. It’s cool too in my town to see families who have streets named after them, and businesses that are still running.